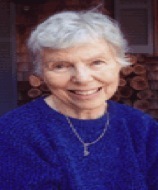 Ann MacDonald Diers was born in 1925. A singer and composer, Ann MacDonald Diers is a graduate of the Hartt School of Music where she studied composition with Isadore Freed. She received her M.A. in Music from Columbia University on a full tuition scholarship. In 1994 she was a winner in a choral competition sponsored by Bowdoin College and was a finalist in a choral anthem contest sponsored by Ithaca College of Music. A Unitarian Credo won first prize in a state A.C.D.A competition. In 1995 her commissioned cantata, A Pilgrim People, was performed in Orleans on Cape Cod. Recently the Chatham Chorale Chamber Singers performed a complete concert of her works. Hold Your Hands Out Over the Earth has been published, and This Day won second prize in a national competition. A work for choir, brass and organ commissioned by the Eastern Region of the American Guild of Organists was performed in Falmouth. Ms Diers currently resides on Cape Cod. She continues to compose anthems especially suited for Unitarian Universalist choirs, and is ever seeking suitable texts.